Production service: LightFab produces prototypes and series of complex 3D quartz glass precision parts from customers CAD data. 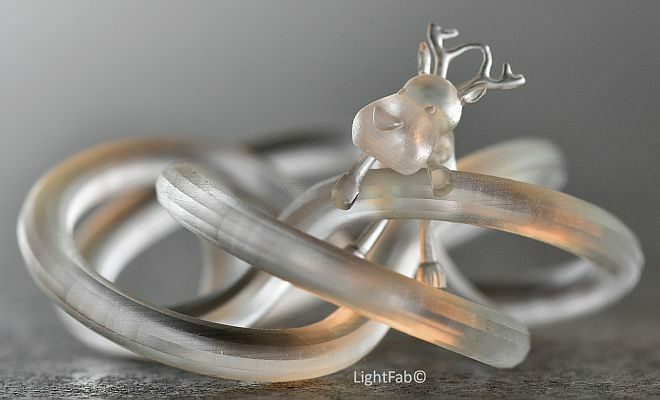 LightFab 3D Printer: We sell the machine to rapidly produce 3D glass parts with the SLE process. The LightFab 3D Printer is also used for precision ablation, waveguide writing, internal glass welding and 2 photon polymerization. We are enabling mass production of 3D glass parts by scaling the SLE process with special high speed modules.